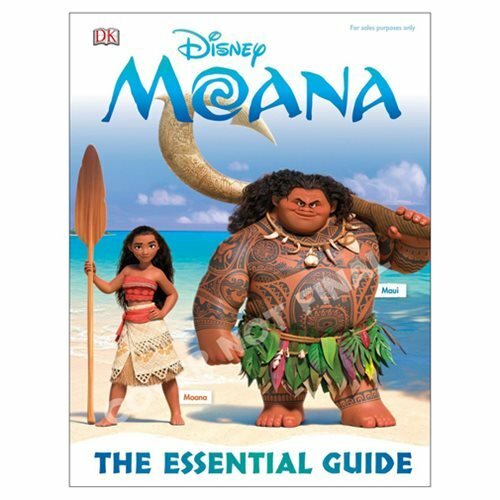 Learn all about the characters, locations, and story lines from Disney's animated film, Moana, with the Disney Moana: The Essential Guide Hardcover Book! Find out everything you need to know about the Disney heroine, Moana, and her traveling companion, the once-mighty demigod Maui, on their incredible journey across the Pacific Ocean. Discover the beautiful locations of Oceania as they traverse the open ocean on an action-packed voyage, encountering enormous fiery creatures and impossible odds. The 96 page book measures about 10 1/10-inches tall x 7 7/10-inches wide. Ages 13 and up.